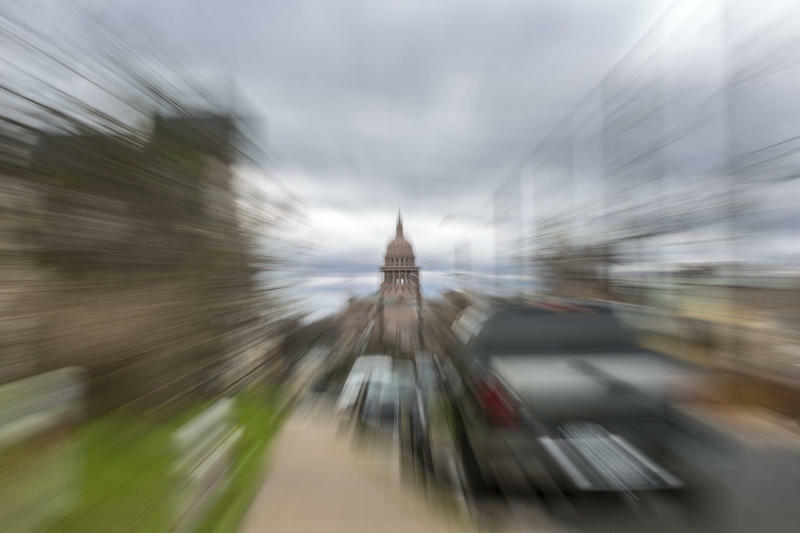 How Do Capitol View Corridors Preserve Sights Of Austin's Most Famous Building? About seven years ago, Lynn Meredith and her husband moved into a high-rise downtown. They can see the state Capitol from the building, and over the years, Meredith has watched as new skyscrapers have sprung up around the Capitol, while other construction plans have fallen through. “Since we are downtown residents and we are interested in our views, as well as our new skyline, it was just a question of why do some [development projects] get approved and some not get approved,” Meredith says. “And what does it mean to be in a view corridor of the Capitol building?" Meredith also asked our ATXplained project why the height restrictions on buildings don’t apply to other parts of Austin. Construction on the Texas state Capitol was completed in 1888. Its exterior was built of red granite from Burnet County, the walls inside made of Texas limestone. A Goddess of Liberty statue was placed at the top of the dome. At the time, it was the tallest building in town. When it was dedicated, crowds of Texans lined Congress Avenue to get a glimpse of it. Decades later, new buildings changed the makeup of the city’s skyline. Some residents worried that views of the Capitol would be lost to a growing concrete jungle. In the 1960s, the 26-story Westgate Tower was built near the Capitol grounds. It was significantly taller than any other apartment building in the city. The project sparked controversy, and eventually led to the adoption of Capitol view corridors. In 1983, Congressman Lloyd Doggett, who was then a state senator, wrote the bill to protect views of the building. Around the same time, the City of Austin enacted similar regulations. Together, the city and state rules aim to preserve the Statehouse’s visibility by limiting the height of other buildings within a corridor. 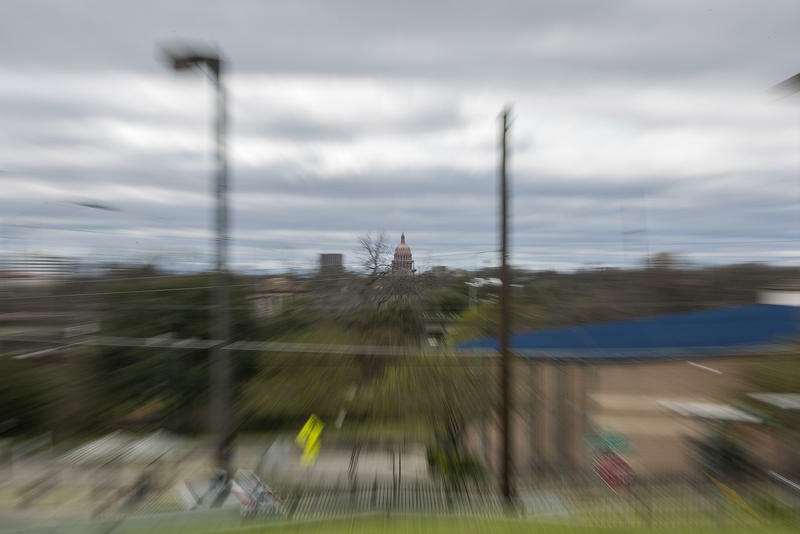 “Basically, a Capitol view corridor is a plane that extends from a defined viewpoint or points that extends to the base of the Capitol dome,” says Anaiah Johnson, a senior planner with Austin’s Development Services Department. The Capitol View Corridor that runs from the Barton Creek Pedestrian Bridge near Zilker Park to the Texas Capitol. If we count all the views protected by both the city and the state, there are 35 Capitol view corridors today. Johnson says there are a number of factors that help determine which corridors get adopted. For example, is a particular view accessible only to pedestrians or drivers? Does the view of the Capitol stretch on or is it just a passing glimpse? “So there are those little nuances with each of the different corridors,” he says. A map of the Capitol View Corridors. The one extending off the map to the west stretches all the way to Loop 360. If you look at a map of Austin’s Capitol view corridors, you’ll notice that some – like the UT South Mall corridor – stop after just a few city blocks, while others stretch on for miles. That conversation didn’t stop in the '80s. Just last year, Austin City Council Member Ora Houston proposed adding five new corridors, protecting views from East Austin. Grantham says the feasibility of those new corridors is still being reviewed. John Donisi, who is on the board of the nonprofit Preservation Austin, says the Capitol view corridors are an "elegant" solution to a "vexing" problem. It’s an issue local stakeholders like John Donisi are watching closely. Washington, D.C., protects views of the U.S. Capitol, for example, and Denver’s view planes preserve the visibility of the Rocky Mountains. 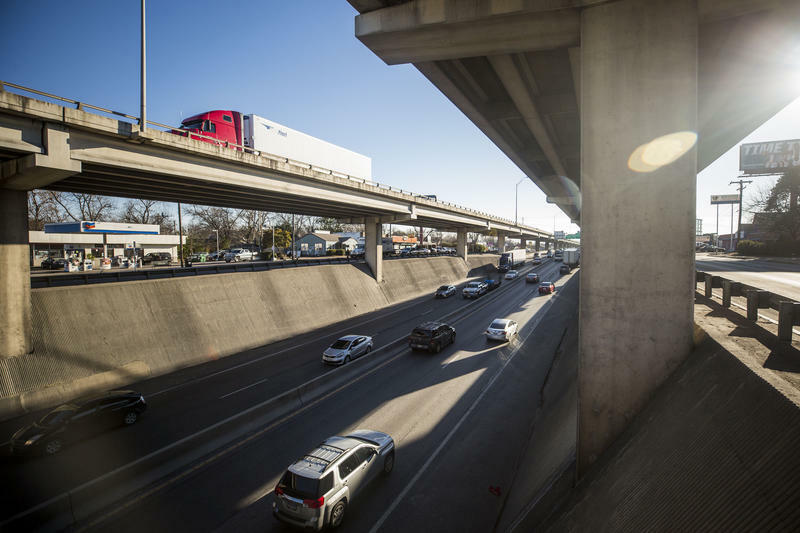 Donisi says rather than prohibiting development, Austin’s height restrictions have driven construction to other parts of downtown, outside the view corridors. 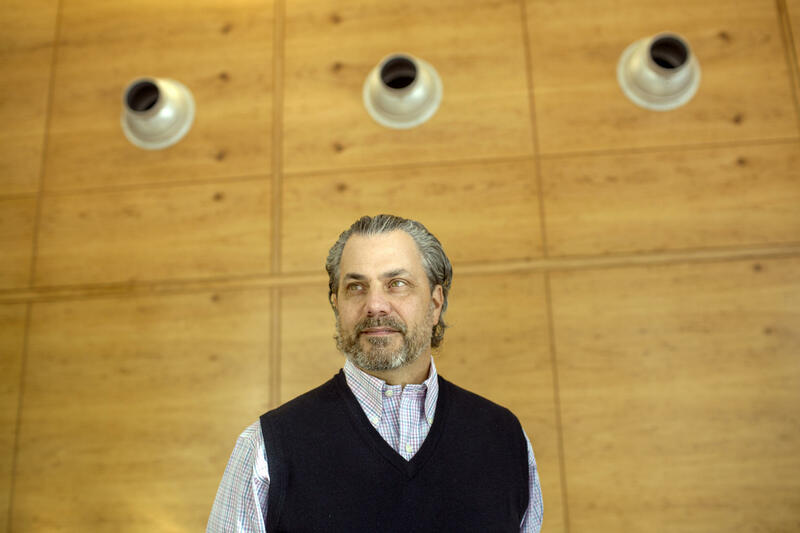 "When you look at a lot of the buildings and landmarks around Austin, it definitely forces architects to be a little creative." There have been a few exceptions granted, including for the Darrell K Royal-Texas Memorial Stadium, the city’s East 11th and 12th Streets Redevelopment Program and the Robert Mueller Municipal Airport. But mostly, developers must find ways to work around the height limits that affect some of the city’s hottest real estate. “When you look at a lot of the buildings and landmarks around Austin, it definitely forces architects to be a little creative,” says Geoffrey Tahuahua, vice president of policy and government affairs at the Real Estate Council of Austin. Tahuahua says determining whether a development falls within a corridor is pretty simple, but that's led to some strange design trends. The building at 11th and Lavaca (left) has some strange features to accommodate the Capitol View Corridor that cuts across the northern part of the building. A similar situation at 9th and San Antonio. “Especially our main corridors like Congress Avenue or Lamar," he says, "you’ll see a number of buildings that kind of look a little out of shape, if you will, and definitely look like they had to make some adjustments." Essentially, the corridors have led to a lot of oddly shaped buildings in the heart of downtown. It’s not uncommon to see half of a building stop after just a few stories, while the other half – unencumbered by sight rules – is a towering skyscraper. Meredith says as much as the city and state governments tend to clash, she was surprised to learn that they’d struck a sort of compromise around this issue. Stand atop the hill at the northeast corner of the Texas State Cemetery, and you’ll have a clear view of the Texas State Capitol. It rises alongside a row of trees, now leafless, and a Texas flag. That view, some City Council members say, demands protection. 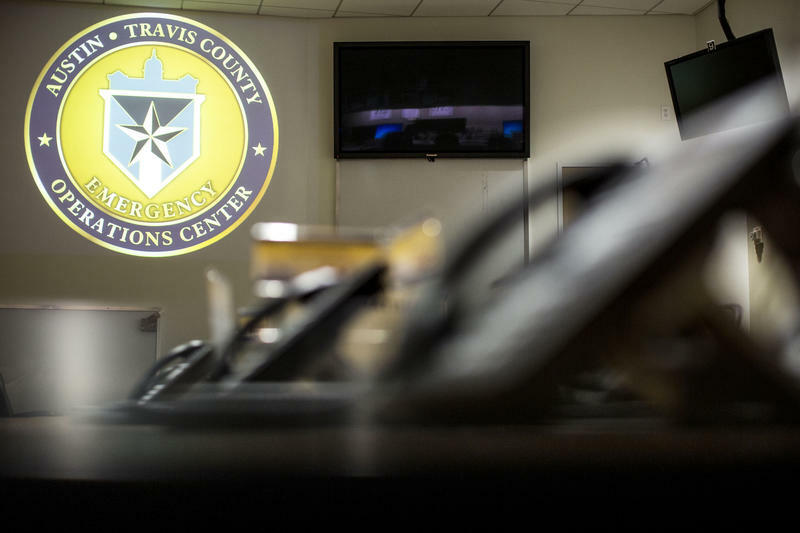 How Do Emergency Alert Systems Work In Austin? Once a week, KUT listeners hear an ominous recording. “This is a test of the capital area warning system,” says a male voice, followed by a sequence of blaring tones. It’s not quite as unnerving as getting a smartphone alert that a ballistic missile is headed for your state, but it can still be jarring. Why Was I-35 Designed As A Double-Decker Through Central Austin? Interstate Highway 35 is many things to many people. It is a vital thoroughfare for commerce and shipping. It is also an economic and social barrier through much of Austin. And nearly from its construction, it has been a source of frustration for drivers stuck in its traffic. I-35 has inspired a number of questions and even legends about its design and those who made it.